The Sears Maplewood is a English story-and-a-half cottage, a very common housing style in the Arlington Heights/Mount Prospect area. 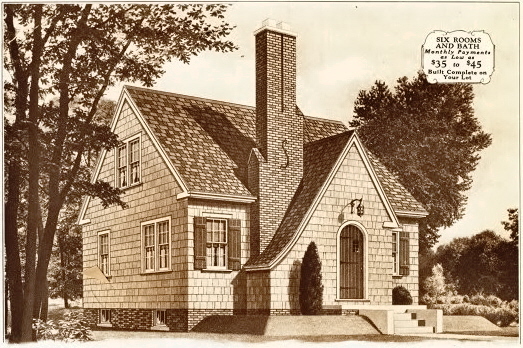 This Maplewood was built around 1931. It is largely untouched after 80+ years. It is lacking the living room fireplace, but homeowners had the option to leave it out. There are no return eaves on the roofline. However, cornice returns are a feature that often gets eliminated over the years because many of them retain water. Another change is that the front door is rectangular, not arched. 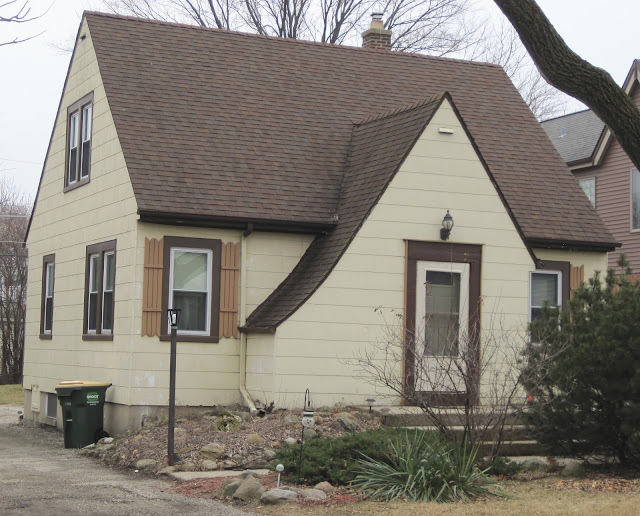 With a little TLC, this Maplewood cottage could be one of the standouts in the neighborhood.